Which Kitchen Step Stool is Safe? If you’re looking for a safe step stool to use in your kitchen then you’ve probably seen many different models to choose from. Some are wooden step stools, some are plastic step stools, some are metal step stools and others are folding step stools which may be a combination of metal with plastic rungs..Which one is best for a kitchen step stool? That depends on which features are most important to you. So you may want to ask yourself, “What am I trying to accomplish in the kitchen.” This simple question and a little investigation into the features of each step stool will help you choose the kitchen step stool that works best for you. Are wooden step stools the best choice for a kitchen step? Let’ see, wooden step stools can come painted in different themes or characters, you can get them made as children step stools with Mickey Mouse or your childs favorite cartoon character painted on them. The childrens step stools are smaller and lighter so your child can drag them around easily. Kids step stools are usually made to handle a maximum load of about 150 pounds, so we’re talking about young children. The wooden step stools made for children are not a safe step stool for your kitchen! Check the load rating!!! If the step stool looks like it was made for a child, it probably shouldn’t b used in your kitchen. The most popular steps for kitchen use are the folding step stools. Why? For 2 main reasons: First they are the cheapest to purchase and they fold up to store, taking up very little space. 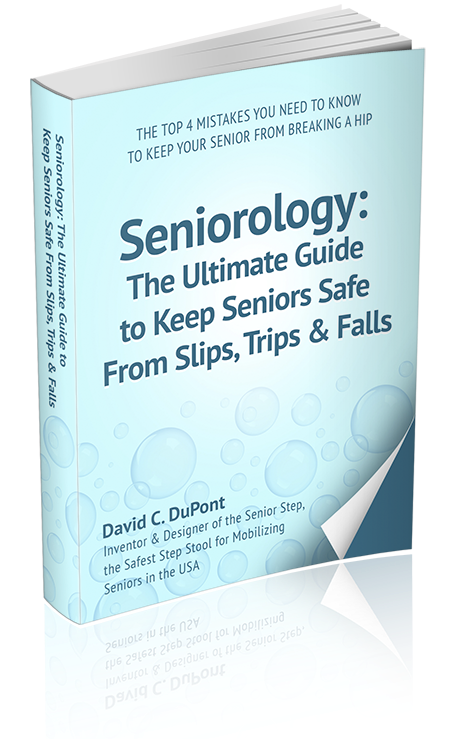 You can find the folding step stools in most hardware stores like Lowes or Home Depot and in department stores like Target and Wal-Mart. 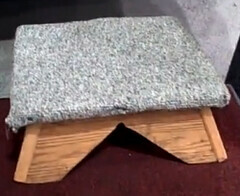 But buyers beware of these folding step stools!! The load rating on these steps is very low, typically between 150-225 pounds. If you stand on the second rung of the folding step stool and lean over, you may find yourself on the floor. These step stools are not very stable or sturdy. Most plastic step stools are single piece construction, but I’ve seen 1 or 2 that do collapse for storage purposes. The most popular of the plastic step stools is the Rubbermaid brand. The reason why is they are easy to find at your local hardware or department store and they are cheaply priced. Be absolutely sure to check out the load rating on these Rubbermaid step stools before you get it home to find out it is too flimsy for your needs. 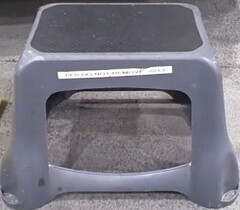 Metal step stools come in various shapes and sizes for different industries, but they all have one glaring problem, the rubber pads used on the bottom the legs will wear through, making it far too easy for this step stool to slide out from under you. 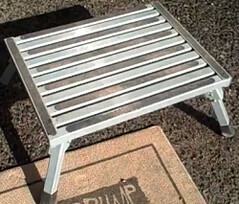 The second problem with metal step stools is the welds that hold the legs to the step are prone to break or at best, crack. Making this step stool unstable, and a huge liability waiting to happen.If you’re big concern is stability and load rating you may want to look at the Shure-Step® step stools. 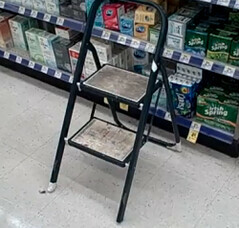 They are superior to folding and wooden step stools because they hold an enormous amount of weight and will not tip over or slide out from under you. These steps are rated at 500 lbs so they can handle a person carrying a heavy load.